I would say I have a pretty modest makeup collection so when I use up products I get pretty excited because a) it means that it was worth the money, and b) then I can buy more stuff. 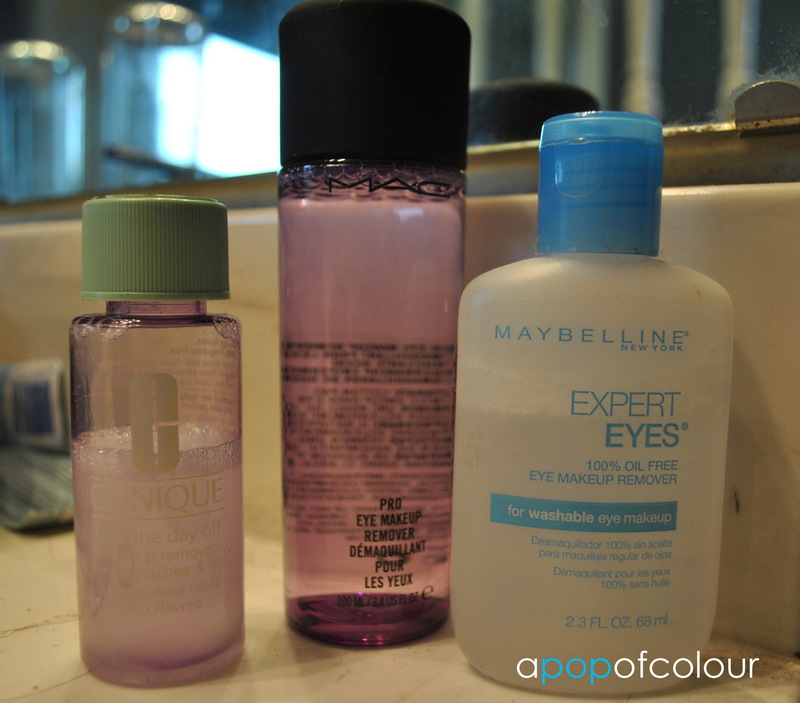 Some of the products I have gone through I would purchase again and others I would skip for a variety of reasons, whether it has to do with price, likeability factor, or it was just too close to a similar product. I bought this product originally because I had eyelash extensions and you aren’t supposed to use an oil-based remover when taking off your makeup. This stuff cost me close to C$20 and although it did work, I think it’s a bit too overpriced for what it is. I have a ton of makeup remover samples and I do prefer an oil-based one (I don’t have eyelash extensions anymore), so I’m going to just use up the 10-odd samples of remover I currently have in my collection and then probably go with one a little cheaper in price. I absolutely love this stuff and for a moisturizer I went through this extremely fast. I have bottles of Bath and Body Works moisturizer still kicking around from years ago, but for some reason I just always grabbed this one. I received this back in February or March when my mom won a contest with Kiehl’s so we got a whole bunch of full-size products for free. I wasn’t a big moisturizer girl until I found this stuff. Creme de Corps is expensive (C$37.50 for a 250 ml bottle), but it leaves your skin so silky smooth, even a day after you apply it. There isn’t much there in terms of smell but if you have dry skin I would highly recommend this product. Would I repurchase this? I actually grabbed my dad’s bottle of it because it was full so I do have a back up of it. I think that once I finally finish up all my bottles of moisturizer I probably would splurge on this product. Laura Mercier’s Silk Cream Foundation has got to be my hands-down favourite moisturizer. Again, it is pricey (apparently I like expensive things), but it’s so worth the price. This foundation leaves your skin looking flawless, and best of all, you only need less than a dime’s amount for full coverage. I actually did buy a back up of this during Sephora’s Chic Week back in the spring so I got a discount on it, I may buy another back up of it when I go to Vegas in August because it retails in the U.S. for $42, whereas in Canada it’s $55. With all the YouTube hype on the Revlon Lip Butters I decided I had to pick one up. In true Shayna fashion of course I bought Cupcake, which is a blue-toned baby pink (my signature colour). I actually used this product up quite fast as it provided a modest colour with some hydration to my lips. I don’t think I would repurchase another one of these just yet because I have a million baby pink lipsticks that need to be used up first, but I do recommend this product. This is one of those products that I originally thought wasn’t worth the hype. I bought this in May 2011 at Holt Renfrew because it’s a cult item and of course if a product gets a lot of hype I must try it. The sales associate said that it should be applied directly on pre-makeup skin, however, I found that it really brightens up your look if you apply it after your foundation. Once I realized that, I actually started really liking the product. I’m undecided if I would purchase this again, mostly because it is expensive. If I do take the plunge I would buy it in the U.S. where it retails for $40 compared to C$50. It does last a long time though, I’ll give it that; it took me about a year to finish up and I was told it has up to 70 clicks in it. 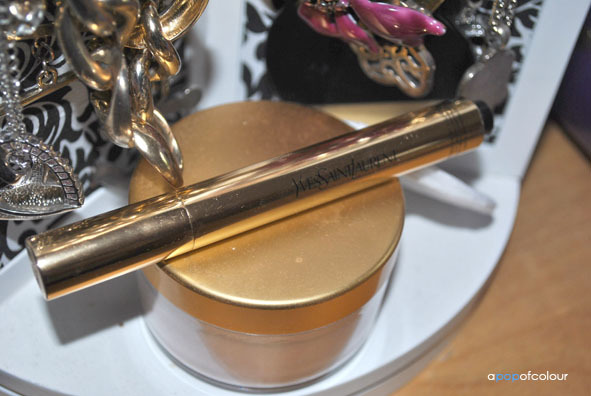 Another YSL product, I fell in love with YSL’s Faux Cils mascara instantly. This was my go-to Holy Grail mascara, until I tried their Shocking version of it. Now I’m in love with Shocking, so I don’t think I would repurchase the original, I’m sticking to it’s Shocking counterpart. I received Laguna originally in a duo with the Angelika blush and I have to say I would buy a full size of this. I’m a bit skeptical to do so only because I have a few other bronzers I want to use up first, but honestly Laguna is just the perfect bronze colour and best of all, it doesn’t go on chalky like some other ones I’m currently using. I’m going to be throwing this into my Sephora cart come Vegas time because NARS is a few dollars cheaper in the States. I absolutely love this self tanner. Not only does it give you the most perfect glow the first time around, but the mousse version of it makes it so simple to apply and fast drying. I would love to buy this again, however the C$49.50 price tag is holding me back. I don’t know if I could justify spending $50 on a self tanner, no matter how amazing it may be. 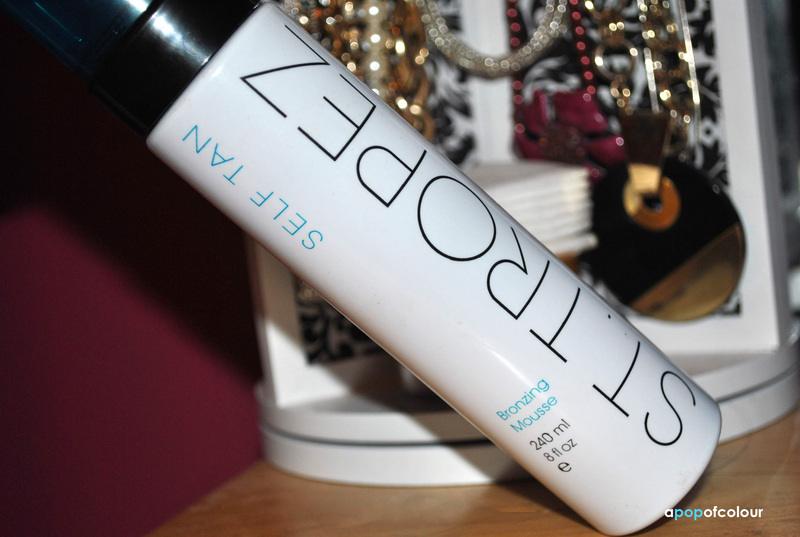 It really does give you the best natural-looking glow out of any I have tried, but I wish it wasn’t so darn expensive. If I had to pick between the mousse and the lotion version, I would go with the mousse, however, you need to buy the glove to apply it with. I was a huge Seche Vite fan until I learned it wasn’t 3-free and contains a chemical which can cause birth defects. So then I switched to Poshe. I don’t think I would repurchase it for that reason; also when you reach the bottom it gets pretty thick and very stringy. I originally bought a mini bottle of this stuff right after I got my eyelash extensions taken off because I wanted to have ridiculously long lashes even without the extensions. I do like this stuff, however, I don’t think it makes your lashes look any more longer than they actually are. A full size of this product is quite pricey, so I would say skip it and invest in a really good mascara. If you want a lash growing serum pick up Rimmel’s lash serum. I’m sure I’m missing a few other items I have used up, but these were the most relevant in my mind. Let me know if you have tried any of these and if you would repurchase them!